La Camara Oscura (2008), set between 1892 and 1929, tells the story of Gertrudis, a woman who has been taught to perceive herself as ugly. In her adult stage, already married and with children, she meets a photographer who finds her captivating, and he shows her that beauty is in the eye of the beholder. As Radio Sefarad has noted, “ Camera Obscura is a surprising reflection on the subjectivity of the human gaze and on the concept of beauty that exists in each era.” The movie won the Argentinean Film Critics Association Award in 2009 for best costume design, and it received eight other nominations including best film, best director, and best new actress. It also received the nomination for best costume design by the Academy of Motion Picture Arts and Sciences of Argentina. In this scene, Gertrudis is sitting at a ball waiting to be taken out for a dance. As the band plays, she looks up at the violinist (Omar’s character) expecting him to choose her, only to be disappointed as he takes out the girl right by her side. Los Roldan was a highly successful comedy show by the great Argentinean television network TELEFE running in 2004 and 2005. The Roldans are a middle-class family who moves to a mansion when tycoon Mercedes Lozada names Tito Roldan president of her company after he saves her life. While the Roldans clash with the high-class mannered Uriarte family, neighbors of Lozada’s who now have some competition for the company’s highest positions, several romantic affairs begin between the two families, including that of Emilio Uriarte and Laisa Roldan, who, unknowingly to Emilio, is transexual. In the following episodes Emilio tries to serenade Laisa with the help of two Mariachis, a guitarist and a violinist (played by Omar). However, not only because the families are confronted but also because he is married, Emilio must hide his true identity, and all three must wear ski masks. 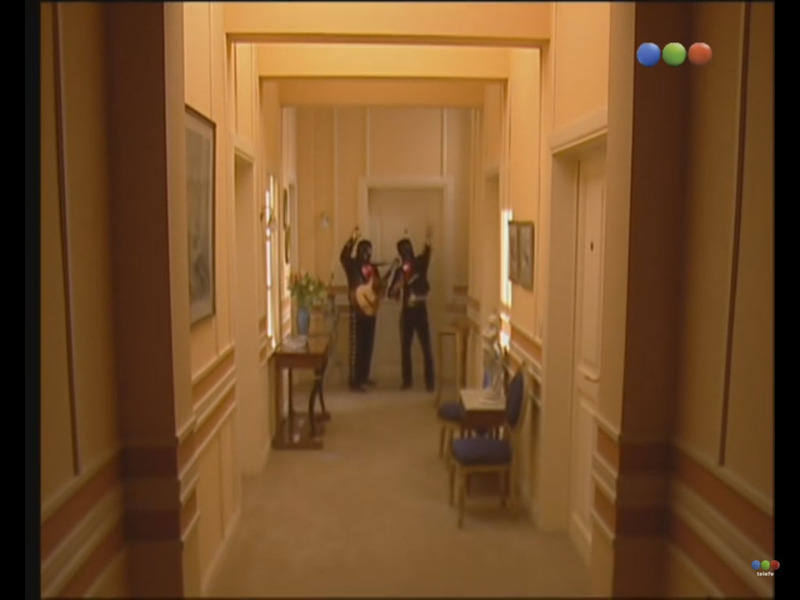 Among other honors, in 2005 Los Roldan won the Martin Fierro Award for best comedy, the highest award in Argentine TV and Film production, and the show was re-made by RCN in Colombia (as Los Reyes ), by TV Azteca in Mexico (as Los Sanchez ), by ANT1 Cyprus (as Life is Wonderful ), and by Mega Channel in Greece (as The Kings ).